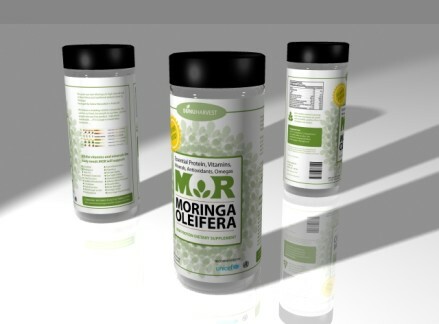 Moringa is on the same market segment as “green superfoods” such as spirulina, green barley, wheat and alfalfa sprouts. It is also similar in composition and effects as Noni juice, also called Morinda citrifolia. Modern research has found that Moringa leaves, as well as other parts of the tree, have been used since ancient times as traditional ayurvedic medicine in several cultures such as a natural antibiotic, an aid in childbirth, for treating liver disorders and many other uses. Moringa has been used for inflammation, malnutrition, wounds, diabetes, iron deficiency, high blood pressure and other conditions. Containing over 90 nutrients and 46 antioxidants, Moringa (Moringa Oleifera) is one of nature’s most nutritious foods. Ideal for helping our bodies maintain optimum health. Moringa leaves are highly nutritious and are rich in vitamins K, A, C, B6, Manganese, Magnesium, Riboflavin, Calcium, Thiamin, Potassium, Iron, Protein and Niacin. Ounce for ounce, Moringa contains seven times the Vitamin C found in oranges, four times the beta carotene of carrots, three times the iron of spinach, four times as much calcium as milk and three times the potassium of bananas. Moringa also contains all 8 essential amino acids and is rich in flavonoids, including Quercetin, Kaempferol, Beta-Sitosterol, Caffeoylquinic acid and Zeatin. Moringa is sometimes referred to as the “Miracle Tree” because all parts of the plant are edible and medicinal. It can also thrive in tough climates and poor soil. Its combination of high nutrition, sustainability and hardiness has caused it to be promoted widely in Africa to help fight hunger, malnutrition and disease. Our product is grown organically (certification pending) without the use of pesticides or chemicals. 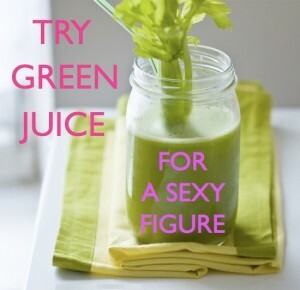 Suggested Use: Mix 1 teaspoon with juice, yogurt, add to your favorite smoothie or infuse into a tea. MōR® Organic Resources strives to offer the best raw and organic products available. Our raw Moringa Leaf powder passes our strict quality assurance which includes testing for botanical identity, heavy metals, chemicals and microbiological contaminants. Keep your Moringa Leaf powder in a cool, dark, dry place. Add your favorite fruit for an even more delicious flavor. Mix cooked pasta with olive oil, celtic sea salt® and MōR® Moringa stir very well. Moringa trees have been used to combat malnutrition, especially among infants and nursing mothers. 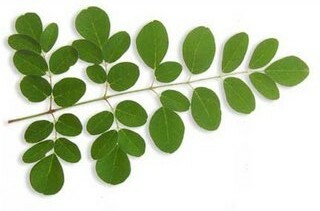 Three non-governmental organizations in particular — Trees for Life, Church World Service, and Educational Concerns for Hunger Organization — have advocated Moringa as “natural nutrition for the tropics.” Leaves can be eaten fresh, cooked, or stored as dried powder without refrigeration, and reportedly without loss of nutritional value. Moringa is especially promising as a food source in the tropics because the tree is in full leaf at the end of the dry season when other foods are typically scarce. Vitamins and minerals help keep us healthy by supplementing our diets with the missing nutrients our bodies need. Vitamin and mineral supplements provide larger amounts of nutrients than most diets alone. Vitamins keep us healthier, facilitate recovery from illness, and keep us balanced when our bodies and minds encounter periods of stress. 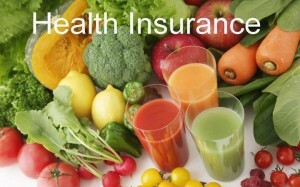 A daily multi-vitamin is recommended to maintain optimum health. Taking the right vitamins and minerals can help those who have natural deficiencies and need extra nutrients and vitamins in their diet. Athletes, pregnant women, vegetarians and those under a lot of physical and/or mental stress can maintain a sense of well-being by taking the appropriate vitamin and mineral supplements. This amazing plant has the highest nutritional content of any plant ever tested. It contains more vitamins, minerals, proteins and anti-oxidents than any other plant in the world. And since this is a natural plant your body can easily absorb these vitamins etc unlike artificial vitamins that end up in the toilet. Stop wasting your money on artificial vitamins.